Hi all! We are UGOOS team, and here we start thread about officialfirmwares for Ugoos UT2/UM2 and UT1 devices. 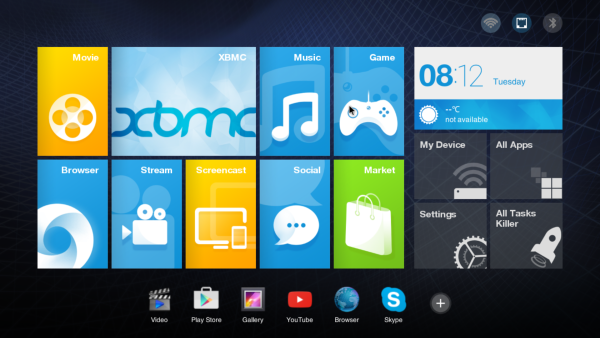 We are pleased to announce the release of the new firmware based on Android 4.4.2 for our devices . For a long time we have not released new firmware versions for these devices. Starting with this firmware we will periodically release new versions contain bug fixes and adds useful new functionality. This release is based on the new version of the SDK so you might encounter errors. We would be grateful for help in finding flaws and ideas to improve the firmware. In menu of settings was added tab "Ugoos setting". 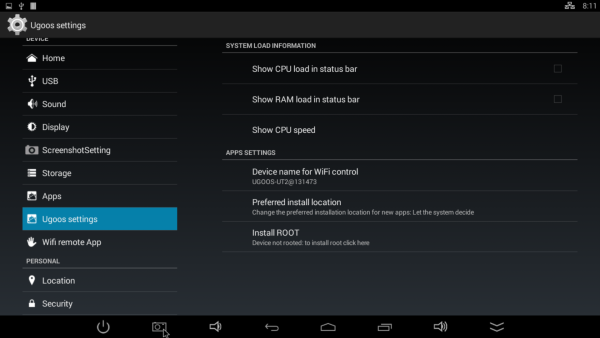 In this tab you can enable or disable the display the information of system load in Android status bar. Also in this tab you can change the preferred installation location for new apps and get access to the root on your device. Please will be careful when you using root access. Careless actions can lead to partial or complete failure of the device. Was added support of firease app. 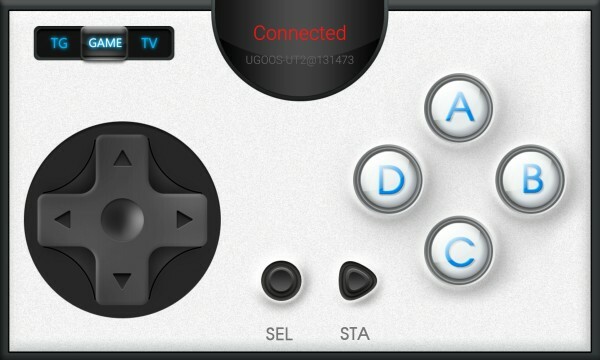 This app is intended for remote control your TV-box from phone or tablet pc. 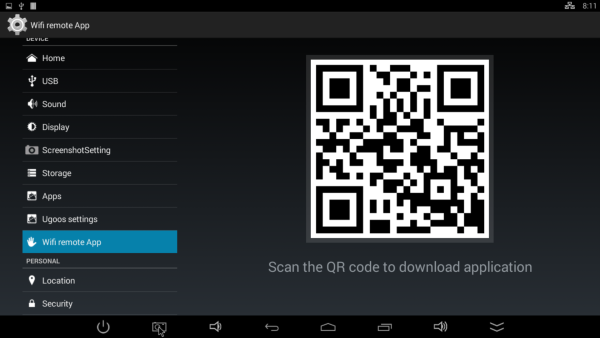 For installing client apk your need open ugoos.net/remote on your mobile phone or tablet-pc manually or scan QR-code from the settings menu. Client apk availible for Android and iOS. Since the current firmware version (1.1.0) for users will be available OTA update that will upgrade the firmware without having to connect to PC and without data loss. 1. 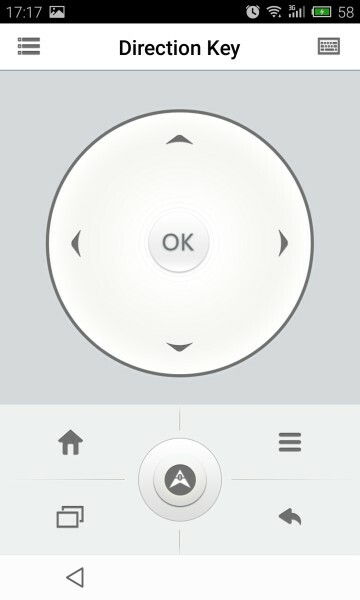 Changed the values of the buttons on the &nbsp;ir remote controls. 7. Added the ability change the preferred installation location for new apps. nuplayer:   optimize for the WFD streaming. bt: add function of bluetooth network share. - decrease pcm buffer size. - fix 3188-T audio playback abnormality. 1.fix the bug of no upstream for hotspot when pppoe is connected. 2.stop pppoe as soon as ppp0 down cased by pppoe server crashed or stopped. enable HDCP2.x authentication only if the key is available. 1.Can't Focus On All App, After Install and Uninstall app. 2.launcher-app-laucher-app...with mouse, maybe entering widget selector. wifi: Solution part of the AP,probabilistic link is not successful. HDCP2.X:update HDCP2.X process for the WFD. wifi & bt: and mid group synchronization code. 1. rk30 hdmi ddc rate set to 50KHz. 2. flush work quene when hdmi suspend. 3. add irq enable flag to rk30 hdmi. 1.fix next button not work in repeat current. - add jb4.4 box cts patchs and docs. - fix audio cts fail. - fix cts verifier features fail. - fix cts verifier usb accessory fail. - add Developer options->Screen Auto Rotation for debug only. - support Widevine Drm Level 3. Important update:solve system crash problem of probability caused by DDR frequency. Usually all release firmware packed to one image, but you have different ways to update firmware. 1. Download firmware and unzip it use 7z, winrar, winzip. Inside: BatchTool - tool for reflashing, DriverAssitant - tool to install drivers and firmware image file. 4. Find recovery button on device, press and hold it. 5. Connect device to PC via USB OTG port and power on device. 6. PC will found new device and install drivers (or you need install it manually), then you may release recovery button. 7. Press Restore button in BatchTool and wait end of process. 1. Download zip update file for current firmware that you have. 3. Connect USB-flash or SD/MMC card to device and wait, device will find update file and ask update firmware or not. Press Yes and wait end of process. Last edited by Ava; 08-23-2015, 20:04. OTA with rename and /or rezip did not work for me. Possible cause: The old firmware was from allminipc (which was recommended by ugoos), the new is original ugoos. If I try this at home, the PC freezes at 0% flashing. A PC hard reset is needed. After this, the UT1 does not work. Tested on 2 different PC's. Therefore, I flashed today at work with an old XP computer. This works very fine at the first try. Thank you for this new wonderful firmware. It's well-endowed, and works fine on my UT1-non-T. The integrated root mechanism allows a very easy booting. - The [email protected] - mode is now to small. But [email protected] works fine. - The Logitech radio keyboard K400 with german layout works fine (including Ã¤Ã¶Ã¼). But ENTER key does not work. Solved with "External Keyboard Helper Pro". I have an UT1, non-T-version. Is the firmware 1.1.3 suitable for UT1 T-version and non-T-version? I renamed the file "UT1_1.1.3_20150814.7z" into "update.zip", and copied it on an USB-Stick. But OTA didn't work => "not a valid update package!" I re-packed the file "UT1_1.1.3_20150814.7z" into "update.zip", and copied it on an USB-Stick. But OTA didn't work => "not a valid update package!" I have 2 UT-2's. One is a "T" version the other is not. The FW for it works on both devices just fine. I think the UT-1 will work the same way. The FW will work on either version of the device. I flashed both of mine using the flash tool and provided drivers. 2 - The instructions seem to indicate the file needs to be .zip format. I do not know if there is any difference in these two types of compression. If there is, then this may be why you can't get it to flash. *I* would try unzipping the .7z and then rezip the files as .zip and name the file as indicated. (update.zip - NO UPPERCASE letters) Also make sure you have the proper 7z file for your UT-1. BUT, it is MUCH easier to just use the provided software and flash it using a PC. It's been a while since the last update of the firmware and there are still some major functions missing i.e. USB OTG. Will there be any further updates? Is there a Lollipop or Marhsmallow version planned? Where is the latest version. V 1.1.1 won't download for me. Just a guess, but the only way I know of is to roll the firmware back to the last version that wifi worked on. Otherwise, you wait for an update.